Sanford is an Associate Editor of The Journal of the American Chemical Society and a member of the Editorial Advisory Board of Accounts of Chemical Research and ACS Catalysis. She is the Arthur F. Thurnau Professor of Chemistry at the University of Michigan, Ann Arbor. Read more about her research. Yang is an Associate Editor of The Journal of the American Chemical Society and a member of the Editorial Advisory Board of Nano Letters. He is the S.K. and Angela Chan Distinguished Professor of Energy and professor of chemistry at the University of California, Berkeley. Read more about his research. 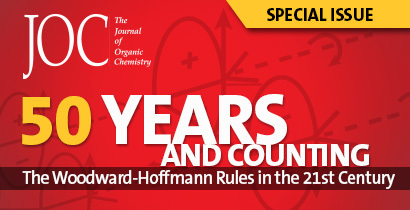 Friesner is a member of the Editorial Advisory Board of the Journal of Chemical Theory and Computation. He is a professor of chemistry at Columbia University. Read more about his research. Forrest is a former member of the Editorial Advisory Board for ACS Nano. He is the Peter A. Franken Distinguished University Professor of Engineering and Paul G. Goebel Professor of Engineering at the University of Michigan, Ann Arbor. Read more about his research. Since its founding under a congressional charter signed by President Abraham Lincoln in 1863, the NAS has been “charged with providing independent, objective advice to the nation on matters related to science and technology.” Election to the NAS recognizes scientific achievement and is considered one of the highest honors given to scientists in the U.S.